Ramelli employees have a wide array of talents and are fully staffed for basically every facet of New Orleans life. Our experienced staff is equipped to clean up after parades, festivals, movie sets, Post Construction Cleaning Services, hurricane debris removal and Furniture Fixtures and Equipment (FF&E) projects just to name a few. Being a family run, locally owned and operated company, Ramelli Group has a firm grasp on the unique needs and special events of the gulf south. 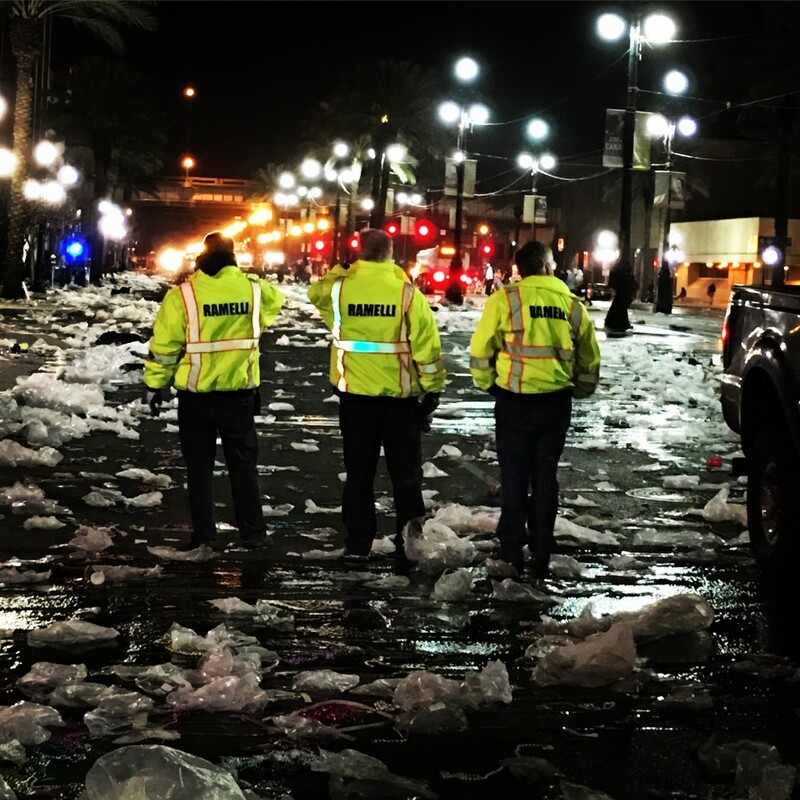 In addition, Ramelli is one of the leading companies that contribute to ensuring a successful MardiGras clean-up. Look around, the Ramelli Group, LLC is affiliated with some of the best known companies and municipalities of the New Orleans area. Need trash can boxes for your next event? Call a Ramelli Waste representative at 504.482.2040. Want to know if we can help you? Feel free to give us a call at 504.482.2040 to speak with one of our knowledgeable professionals regarding your next event.